Computer simulation of the distribution of matter in the universe. 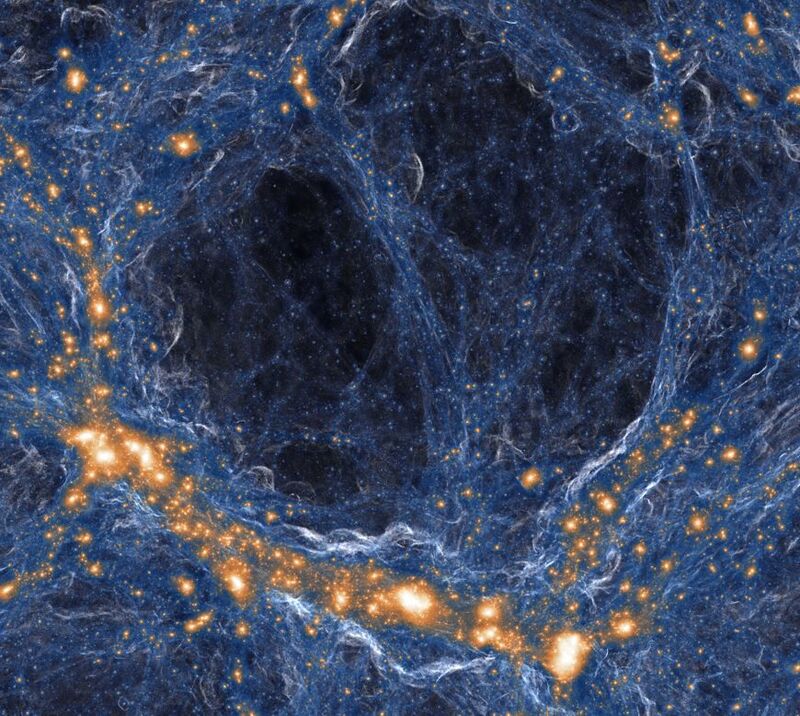 Orange regions host galaxies; blue structures are gas and dark matter. A University of California study demonstrated that opaque regions of the universe are like the large voids in the galaxy distribution in this image because too little light from the galaxies is able to reach such regions and render them transparent.